You no say money no be prablem?! That's what Beyoncé probably said when she signed that dotted line for this new Pepsi endorsement deal. The campaign which begins next year, Pepsi decided to get the beautiful Beyoncé for their TV commercial. The images of Baddie Bey will be a life-size cardboard cutout in stores. PepsiCo are working very close to the music industry and the launch of the campaign will coincide with promotion for her 5th studio album being released sometime next year. Beyoncé will also be performing at the Superbowl halftime performance on the 3rd February. Her face will be on a limited-edition line of the famous drink. 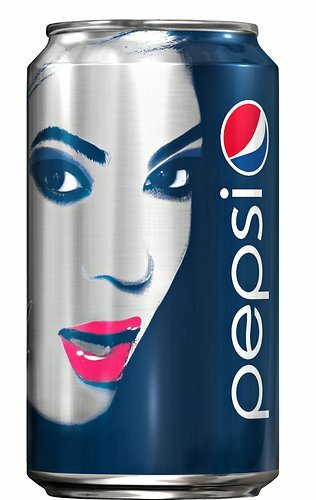 This will be Beyoncé's fifth ad for the drink since 2002!! We wait patiently for that, as well as her documentary with HBO, her new music/album and her Superbowl performance all coming in 2013!